The Super Bowl is America’s most watched national sporting event. On Sunday, February 1, many Super Bowl parties will feature pizza, wings, and yes…alcohol. 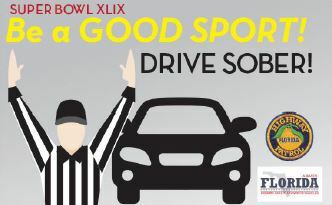 That’s why the Florida Highway Patrol is urging football fans to choose sides before the game: are you drinking OR driving?